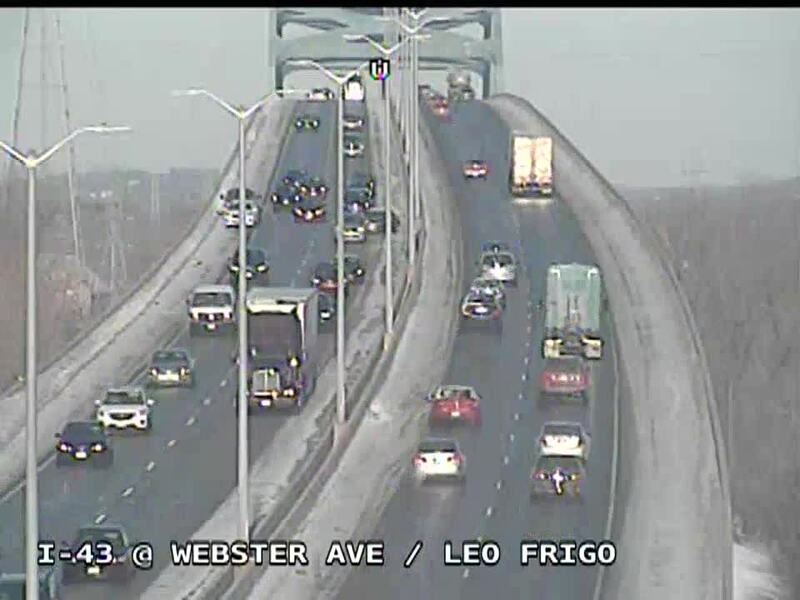 WisDOT is releasing video from Tuesday morning's crash on Leo Frigo Bridge. GREEN BAY, Wis. (AP) — Police say a number of people have been injured in a series of crashes involving 30 vehicles on an interstate bridge in Green Bay. 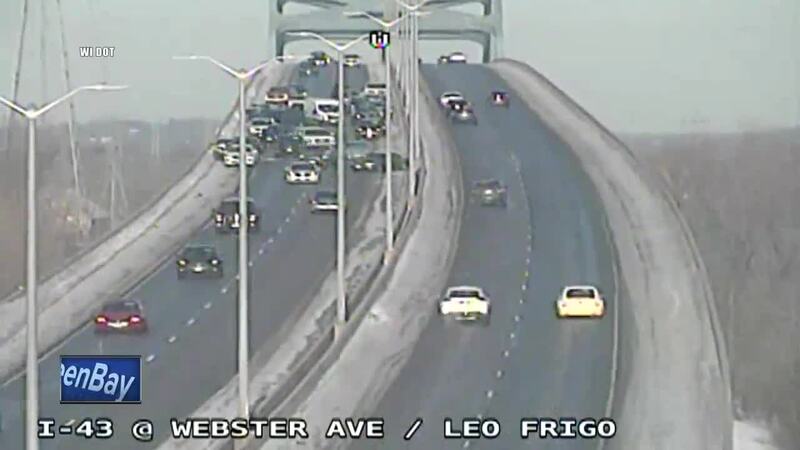 UPDATE: @GBPolice have released new photos of cars involved in this morning's crash on Leo Frigo Bridge. All lanes of Interstate 43 on the Leo Frigo were closed Tuesday morning as crews worked to clear the pileup which began shortly before 8 a.m.
Police Capt. Kevin Warych says there are multiple injuries, including broken bones, but he couldn't say how many people have been taken to hospitals. Warych says city buses have been sent to the bridge to keep those involved in the crashes warm. Temperatures are in the single digits in Green Bay. The bridge reopened about noon.